Pansodan Gallery has a new product out. Blank books that are good for drafting and writing, doodling and drawing. They are on sale for $1 or 1500ks a piece. The pages are of high quality Japanese paper. 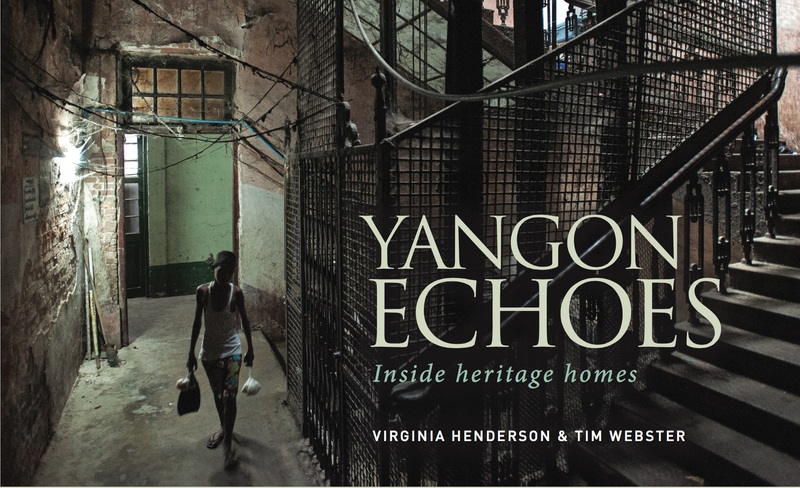 The covers come in a variety of Burmese reference material. Su Su Maung is a practicing psychologist with an interest in trauma. 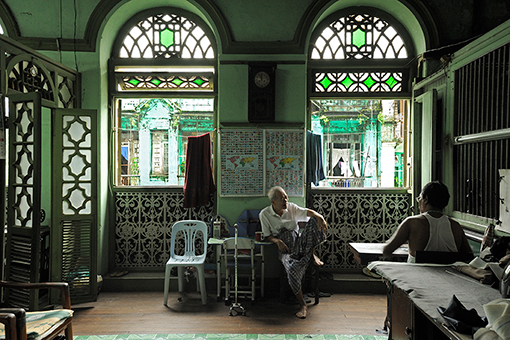 She has some ideas about the tendency for hero-worship and then for a backlash and condemnation in Burmese culture. She finds the root of these in trauma. She will talk about about healthy and unhealthy reactions in a talk called: Splitting in Myanmar’s Psyche: Intergenerational and Collective Trauma. The talk will be Sunday, 3 April 2016, at 2:00 at Pansodan Scene (second floor) 144 Pansodan, corner of Pansodan and Maha Bandoola. ၁၁၄ ပန်းဆိုးတန်း ဒုတိယထပ် (ငါးဘာသာကျောင်းနှင့် မျက်နှာချင်းဆိုင်) across from the gate of the Ganesh Temple. There is nothing on the ground floor, a bookshop on the first floor, and we are on the second floor. Su Su Maung will be happy to answer questions and discuss further after the presentation. The talk will be in English; discussion can be in Burmese or English. At Pansodan Scene you can get espresso drinks and natural sodas, daily 10-6 as well as the day of the talk. There will be talk by Alexey Kirichenko at Pansodan Scene on 3 March 2015. Dr Kirichenko’s extensive research in palm-leaf manuscripts and other primary sources has turned up a wealth of insights into history. The next session of Pansodan Scene’s art talk series, Let’s Speak Art will be held on Monday 8 December, 2014 at Pansodan Scene, between 6.30 and 8 p.m. The topic for the third event will be The art market – with and without. We will see how the contemporary art market works, the advantages and the disadvantages if there are, and of course, see how the Myanmar art market connects to the international one. During the talk, there will also be a possibility to have access to the answers of the question ‘posted’ in the wishbox during the previous sessions. Just bring a pen to write yours down! Free entrance. 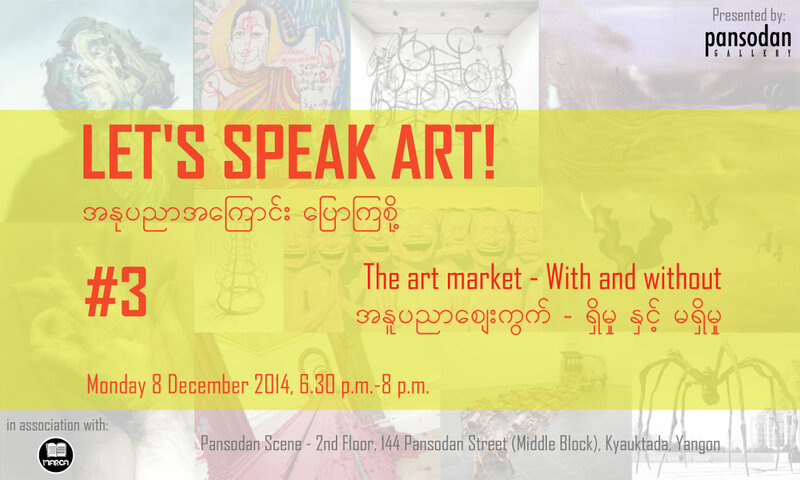 Let’s Speak Art #3 | The art market – With and without Pansodan Scene 2 nd Floor, 144 Pansodan Street, Kyauktada, Yangon. The entrance to the staircase is in front of the temple’s entrance, almost on the corner of Pansodan and Mahabandoola streets.